Thirty years ago, when compared to the U.S., England, France, and Sweden, Japan had the lowest life expectancy for males and females. Today, Japan has the highest life expectancy and is the world’s most rapidly aging society. Public Policy and the Old Age Revolution in Japan captures the vitality of Japanese policymakers and the challenges they face in shaping a modern society responding to its changing needs. The rapid transition to an aging society poses a set of complex policy and resource dilemmas; the responses taken in Japan are of great value to policymakers, professionals, and students in the fields of gerontology, Asian and Japanese studies, sociology, public policy, administration and management, and anthropology in other industrial aging societies. 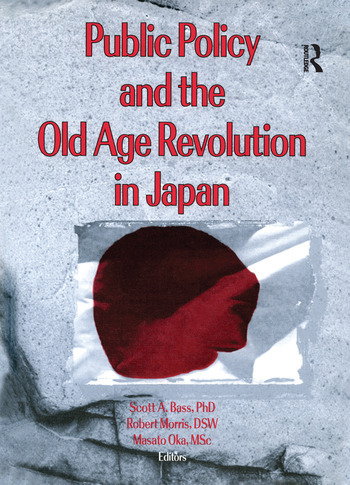 Public Policy and the Old Age Revolution in Japan is one of only a handful of books prepared in English by American and Japanese authors for an international audience about aging and social policy in Japan. The book’s recent collection of articles by leading scholars on the subject makes it a unique and timely source of information. Above all, Public Policy and the Old Age Revolution in Japan makes it clear that the rest of the world has many valuable lessons to learn by studying Japan’s approach to its rapidly aging society.